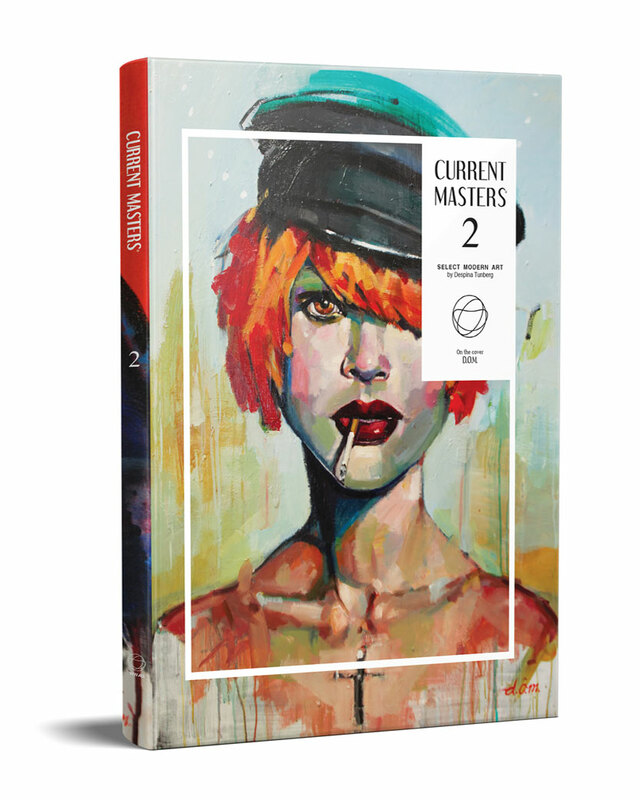 Designed in California and published annually, our books are curated art anthologies presenting select master artists from around the world. The books present a wide range of contemporary practices, providing an index of artists for collectors, galleries, curators and art professionals. 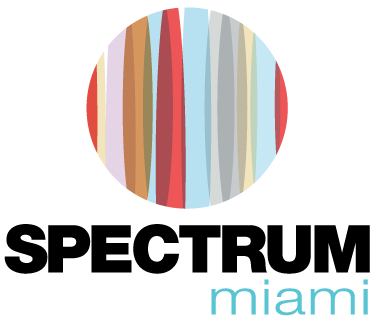 Every year we participate at some of the world's top art fairs, representing our artists at leading art events like the New York Art Expo, Spectrum Art Fair in Miami, Art San Diego and more. These art fairs are a must for the active artist seeking to exhibit, sell art and network. We are now accepting applications from artists to publish in our books and exhibit with us at top art fairs. See Details and Apply Now! Apply today for pages in our high-quality hardcover coffee table art anthologies. Curated by Despina Tunberg and edited by our team of professionals, these books are a must for the active artist who is looking to expand their resume and increase the value of their work. Fill out an application today! Apply to exhibit with us at the world's top art fairs. From Art Expo New York, Art San Diego and Spectrum Art Fair Miami, the World Wide Art and Artavita Pavilion is the best way to exhibit and sell your art as well as add important shows to your resume. Fill out an application today! That so great and thanks for the pictures, the stand looked fantastic. I am most grateful, honoured and privileged to have been accepted to exhibit at the NY Artexpo in the greatest art capital and city in the world. I love NYC. Thank you for everything and the difference you have made in my creative life. 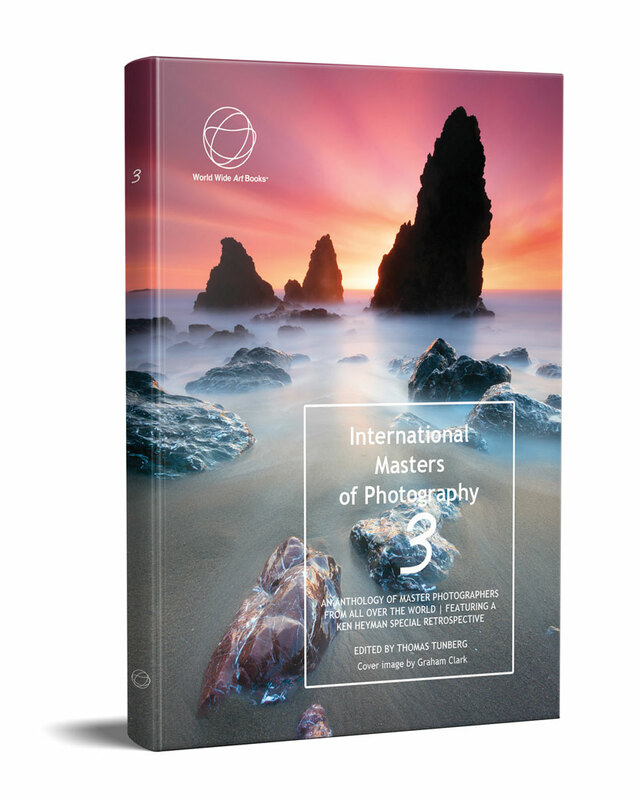 I have been published twice with World Wide Art Books , Current Masters 2 and Important World Artists 2. When I received my copies, I was pleased to see that the quality of the publications was better than I could have hoped for. This exposure has put my artwork out there for the international audience to see and from this exposure I have received offers from galleries and publishers from Italy, France, Portugal and the U.S. This has netted me a one man show and gallery representation in a New Jersey Gallery (with a New York mailing list.) It also led to being published in an art magazine out of Lyon France. Thanks so much for selecting me to appear in your books. I can’t tell you how much that has helped my career. I have been approached by so many galleries and arranged personal exhibitions in New York, In Vienna, in Los Angeles and I am still considering new proposals. Thank you sooooo much. I have been fortunate to be selected to be published in a number of World Wide Art Books’ publications over the last 7 years . 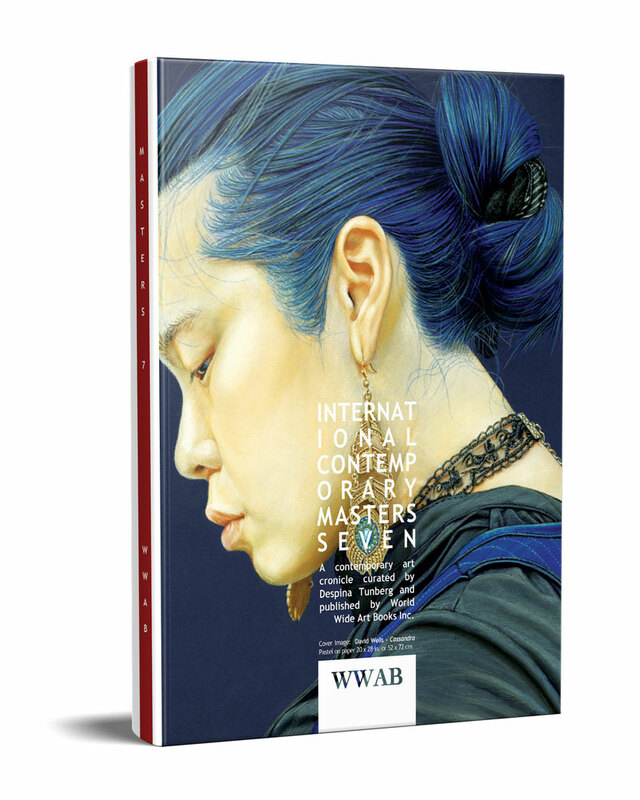 WWAB send their books to an extensive list of art galleries, agents and festival organizations both here and internationally. I’m always amazed when I get contacted by galleries and agents from as far away as China. When I ask them how they found me I’m invariably told that they saw my work in one of WWAB’s books. It doesn’t get greater than this! 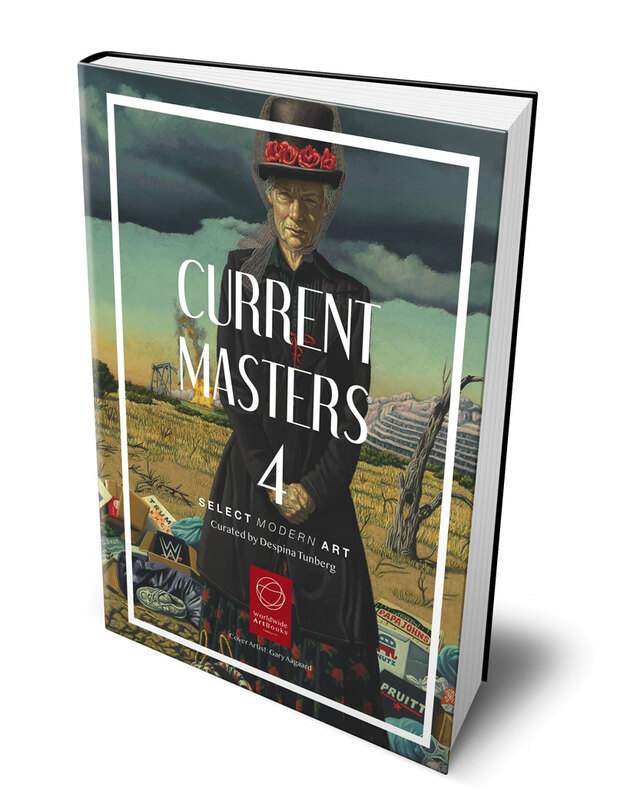 My participation in “Current Masters 3 Art Book” and “International Contemporary Masters 12” were important experiences to promote my art and to expand knowledge, not only in the USA but also in the world, having even been contacted by a European gallery interested in work with me. I also had more opportunity to work with this interesting team at important Art Fairs such as Spectrum Miami 2018 (world Wide Art & Artavita. Despina Tunberg and World Wide Art Books, Thanks for accepting me in your books. I would like to say thank you for having me in your beautiful art book and that the team is lovely. 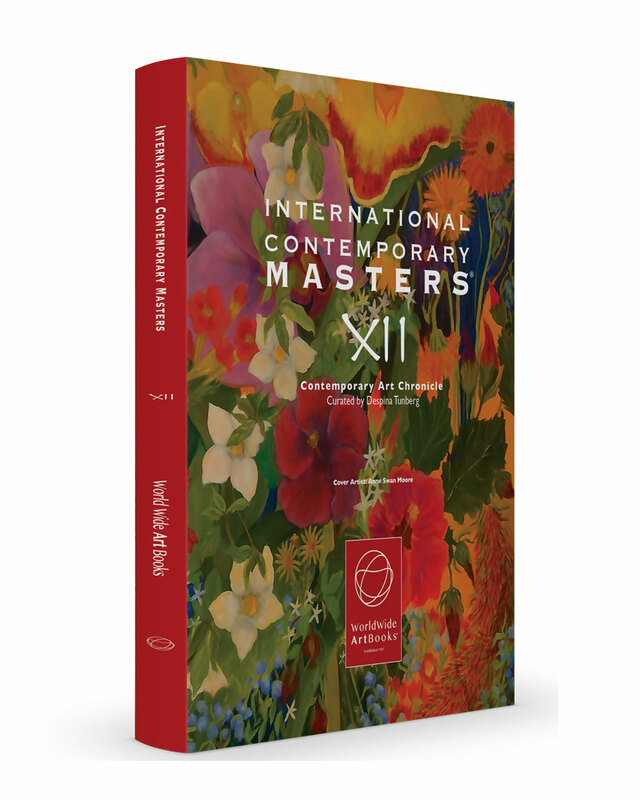 Several of my works and writing about my painting philosophy appeared in International Contemporary Masters 12 recently. It was great to see my work in this book and it added a strand of different media that I hadn’t experienced before in my work. References to the book and the pages featuring my work were added to my website and were met with interest and perhaps inspiration from other artists. I was also contacted by several curators in Europe, stating their use of the book to find artists that could appear in their galleries and asked if I was interested in taking part in exhibitions with them. I am currently thinking about my next step in that respect and I have the book to thank for that. WOULD I PUBLISH AGAIN WITH World Wide Art Books? The simple answer to a non-artist and an artist is yes. I am an award-winning artist with extensive and prestigious accolades; however, until recently I was not exhibiting at the levels I knew my works should be exhibiting. After many invitations from WWAB to include my work in their publications, I finally decided to give them a try. What did I have to lose. I began exhibiting at the Las Vegas Museum where several copies of past WWAB were free for the taking of the visiting public and gallery owners. “WWBA send their books free to an extensive list of art galleries, agents, and festival organizations both here and internationally.” Artists published in the WWAB are given free copies to distribute or sell as needed. During that exhibition the book containing photos of my work was released. Within a few weeks, an art representative from Florence, Italy contacted me. I was asked to exhibit the images they saw in World Wide Art Books. Through this contact I have shown in their EU TOUR OF ART appearing in exhibitions in Florence, London, Paris, Venice, Milano, Lake Como and Cannes. I began to receive invitations to exhibit from many venues, many of which I turned down and several of which I have accepted. 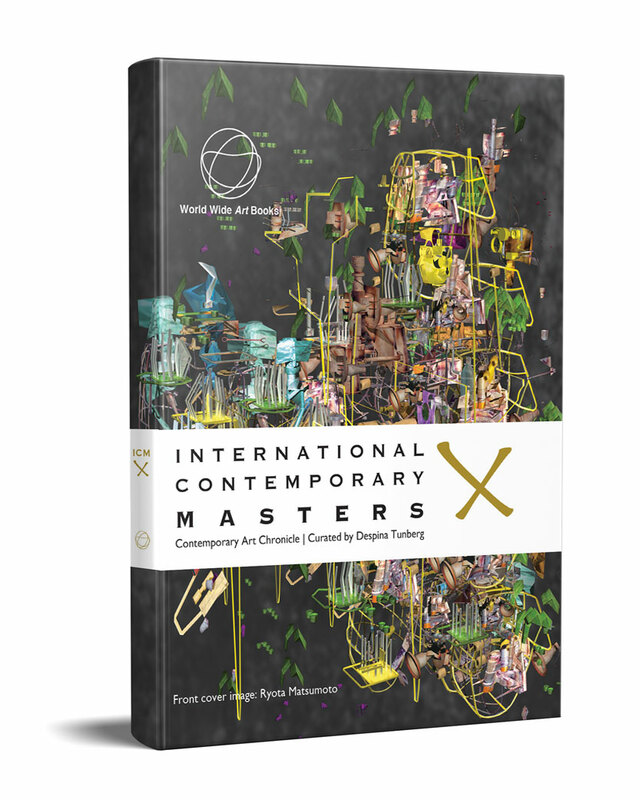 When asked how did the representative know about my work, I was constantly told my work was seen first in the INTERNATIONAL CONTEMPORARY MASTERS XII chronicle curated by Despina Tunberg through the World Wide Art Books. I now also have representation in Vienna Austria with an exhibition Shanghai China directly related to publishing with World Wide Art Books. I was first introduced to World Wide Art Books in 2016, by a fellow artist and good friend. 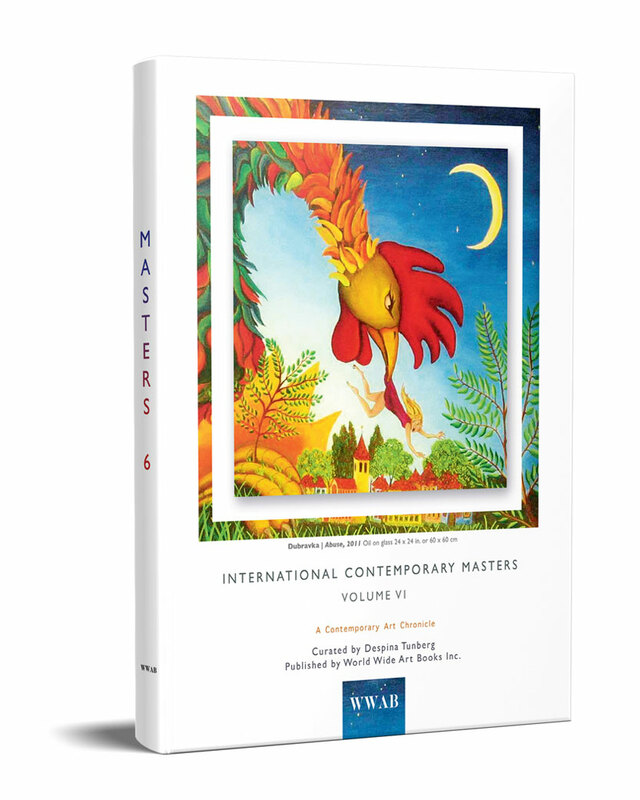 After submitting several images for review, I was notified of my acceptance in Volume 11 of International Contemporary Masters, curated by Despina Tunberg. Upon it’s arrival, I was extremely impressed by the excellent design and layout, as well as the high quality of the printing. Shortly after, I began receiving invitations via e-mail, from galleries both national as well as international, requesting my participation. As a result, I have exhibited in several galleries in Chelsea, NYC, as well as galleries in various areas of Long Island, where I currently reside. 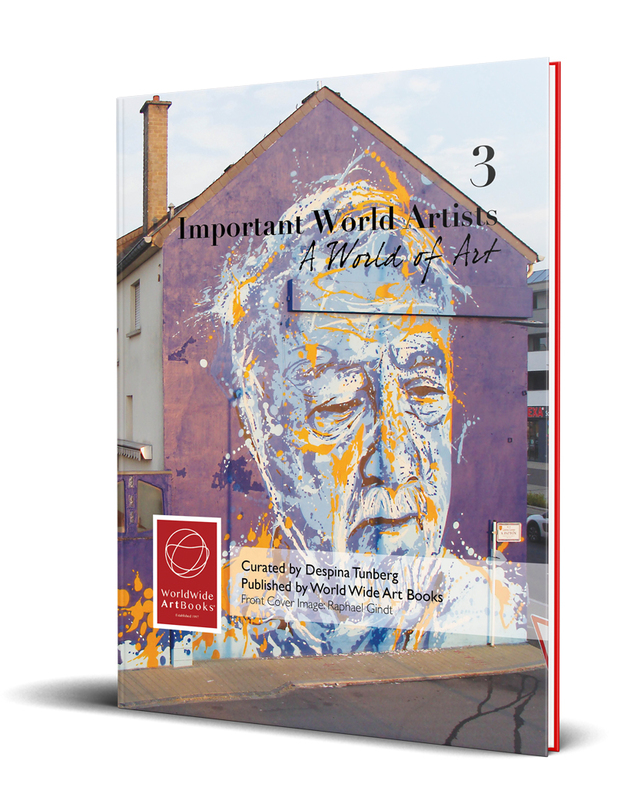 My next publication was in Important World Artists, Vol. 2, which was followed by invitations to show in Vienna, Austria, Germany, and Italy. In May, 2018, having accepted the invitation, I was one of the recipients of the Raffaello Award, in Bologna, Italy. This prestigious award was shared with fellow artists from around the world, several of which have become close friends. I firmly believe that the exposure World Wide Art Books has provided me with, has opened up opportunities which otherwise would not have been as readily accessible. My participation in World Wide Art Books books has had a major impact on me as an artist to increase my possibilities of reaching out to international art galleries in a much greater extend than I could ever dream of. 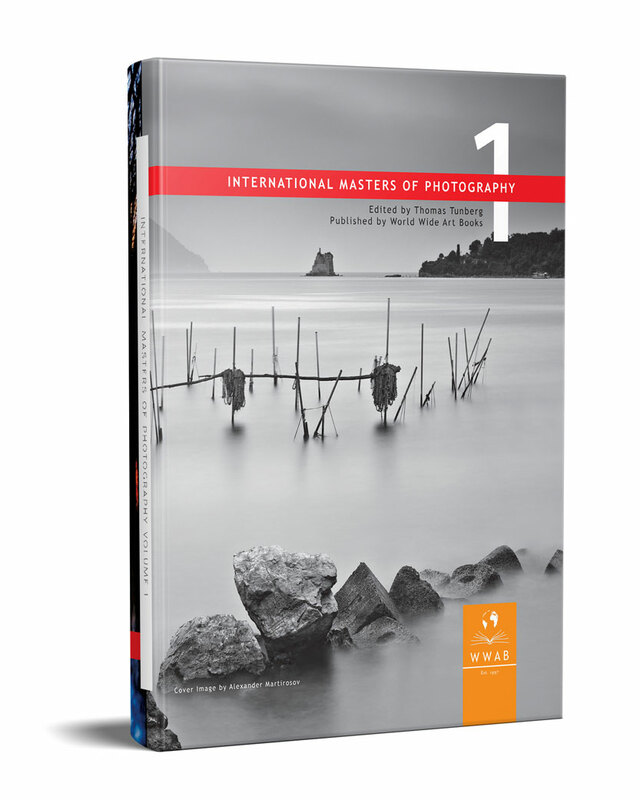 In a direct result of my participation in World Wide Art Books I have been contacted by galleries from South America, Europe and USA , even a gallery in China has contacted me after seeing my photos in The International Masters of Photography. Another example of the result of my participation of World Wide Art Books in only the last 6 month is I had two Art gallery exhibitions in New York City, and exhibition in Milan, Italy and in Athens Greece as well as many e-mails from interested international art galleries in Europe. I can not thank the World Wide Art Books enough to let me participate in their art books. Stefan Jellheden photographer/ image maker. Its been some time since I was featured in your Art Book. My experience was a positive one. I did get lots of offers from Galleries and I did very much like the experience to be featured in the Southern Fine Art Museum. 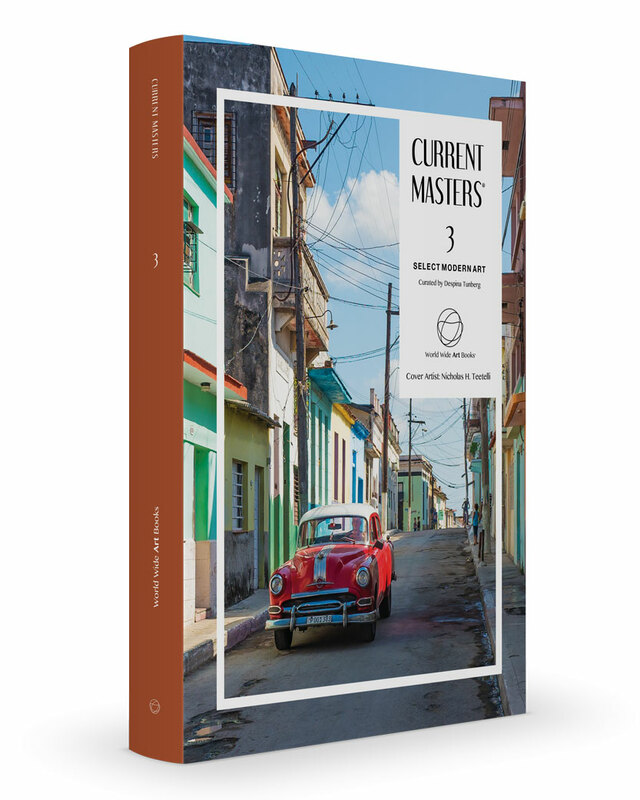 I have had a great response to the book Current Masters. I give copies to the galleries that represent my work to be distributed to clients who buy or are interested in my work. Having my work displayed in book format makes me seem much more important I actually am! Credibility is a marvelous tool for marketing and opens doors that otherwise may be closed. Friends, family and especially clients love it. I’m ordering more! I have been in 2 of the WWAB , International Contemporary Masters and Current Masters. Both books where very successful books for myself.I am still with 2 galleries that found me through these books, which would not have found me otherwise. I think it’s up to artists to invest into getting there work out there to the world and thats what the WWAB is all about. The books are very well done and they make a great gift along with passing them out to family and friends.I would recommend any serious artist to use WWAB to market yourself to the world!! Thank you Despina Tunberg and World Wide Art Books or giving me the opportunity. 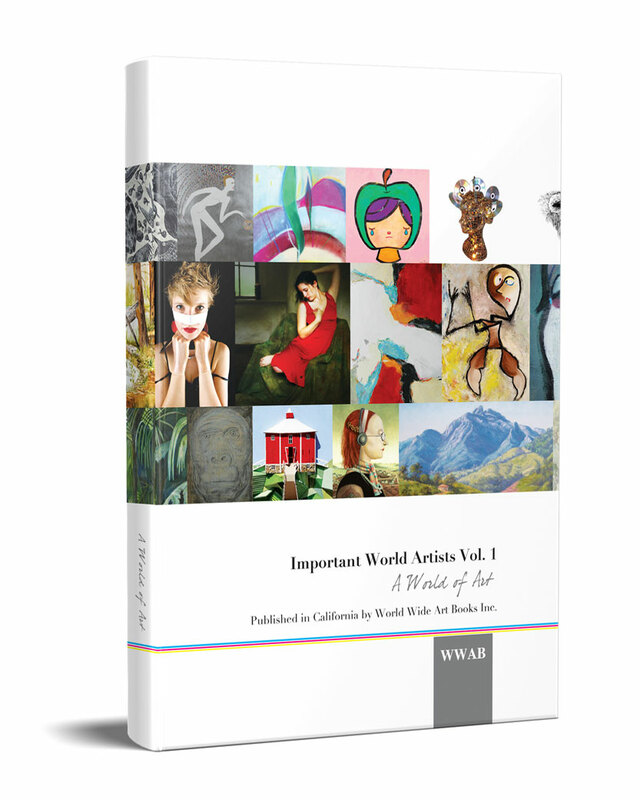 World Wide Art books is the best all around the world in promotion artists can get. I have received invitations from galleries, more and more prestigious exhibitions like the Florence art Prize, events in Rome and other cities in Italy ending in Prizes and recognition. The curators are of most pleasant contact, very helpful, efficient and see to it that your art be presented at its best in their beautiful quality books amongst artists from all over the world to admire. The books are also a personal promotion amongst your friends, family, and contacts. The art contests organized throughout the year are motivating especially since they give discounts and prizes. Convenient paiements by installments are offered, less « painful » way of participation. I am very proud and happy to be invited to World Wide Art books as well as to their exhibitions at New York Art Expo, Art Basel Spectrum Miami, Las Vegas and San Diego and I highly recommend this company. Here in Greece the galleries I’m collaborating are very enthusiastic about your books (International Contemporary Masters 12 and Current Masters 3) and their high printing quality. Many galleries and curatorial companies have contacted me through my presence in the books and at the Red Dot Miami 2017 exhibition. The book is very well edited and printed. The outcome is really impressive, also it’s big format. I would recommend every artist to take a part in it. It’s worth it! Great memory. A nearly decade long collaboration with wwab has opened many new doors and proven itself very rewarding. Thanks to wwab’s publications my works have reached new audiences and markets and given me the opportunity to exhibit at some of today’s most internationally acclaimed art shows. Moreover, the publications have led to successful long-term contracts with gallerists. “I’m very proud that my works are in this beautiful book. Thank you very much WWAB for having contacted me. There are already several galleries interested in my works”. Here are some recent gallery exhibitions I arranged with galleries contacted me because of my presence in the book International Contemporary Masters 11 and Important World Artists 2. Hey, my website tikimulvihill.com has imagery of those places. Being published with my work in the artbooks of World Wide Art was a great experience for me. I received many positive responses from art lovers and galleries in the Netherlands and other European countries and they admired the lay-out and content of the books. I received invitations from galleries in Vienna, Lisbon, Hamburg and Amsterdam after these books were published. I personally can add that the co-operation with the curator, Despina Tunberg, was always extremely pleasant and positive. She is a great professional and she has an amazing talent for organizing exhibitions with art works appearing in the books or art works which artists have sent to her after their publications in the succesful World Wide Art Books. I would recommend anyone participating in these books’. ARTAVITA /WWAB have contributed to the development of my career. participations have yielded good results. 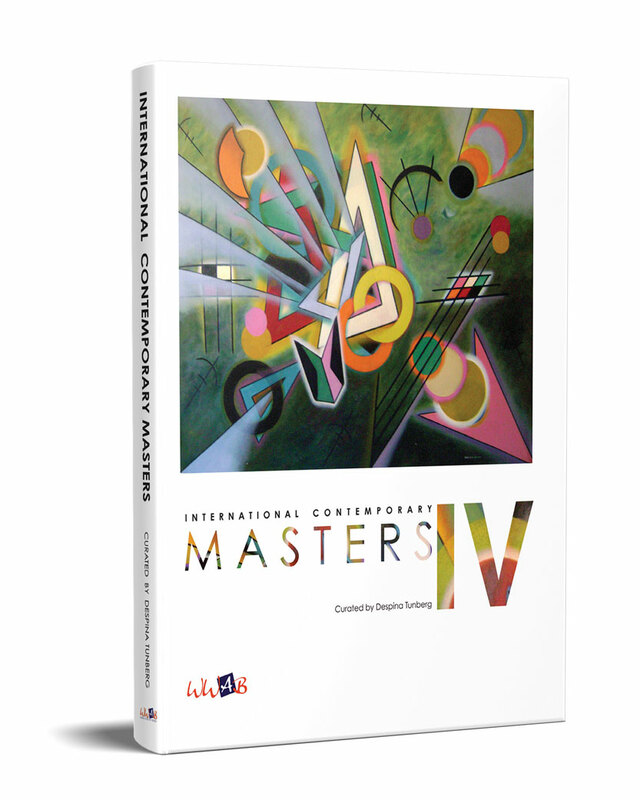 My art was published in International Contemporary Masters XI in 2017. I was very impressed with the quality of the book and especially with the response. I received numerous invitations from galleries in New York, Vienna, Italy and other parts of Europe to exhibit with them. I also participated in the Metropolitan Art museum’s exhibition in Las Vegas, which is open to all the artists who have been published in WWAB’s books. As an artist from W. Australia, this sort of exposure is very important to my art practice and was really appreciated. Despina also warns us of art offers we might receive that are actually scams, which is great. If you are invited to appear in their books, just read all the reviews from the artists themselves and decide whether you think it’s worth it. I certainly do! 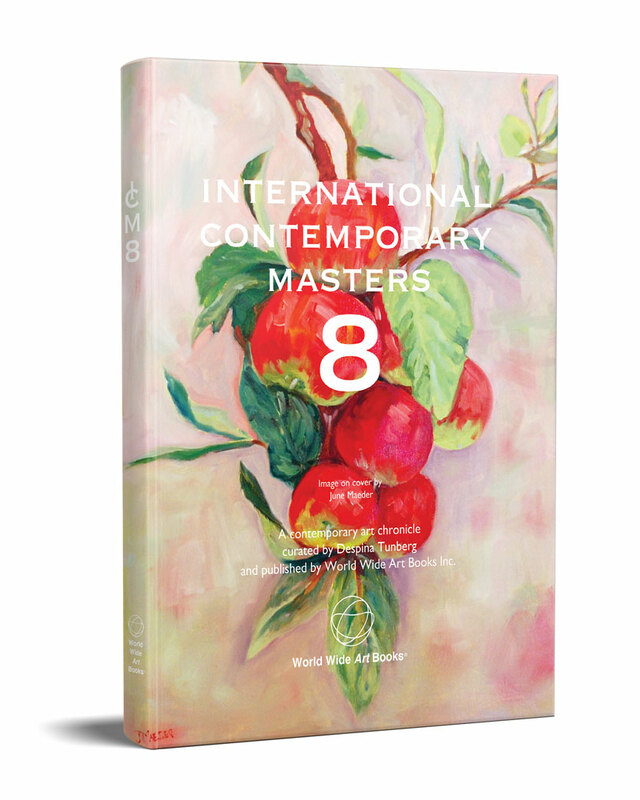 “I participated in one of the contests promoted by Artavita on the publication on International Contemporary Masters XI. Honestly, I did not expect to win the first prize! ‘Being published with my work in the artbooks of World Wide Art was a great experience for me. I received many positive responses from art lovers and galleries in the Netherlands and other European countries and they admired the lay-out and content of the books. I received invitations from galleries in Vienna, Lisbon, Hamburg and Amsterdam after these books were published. I personally can add that the co-operation with the curator, Despina Tunberg, was always extremely pleasant and positive. She is a great professional and she has an amazing talent for organizing exhibitions with art works appearing in the books or art works which artists have sent to her after their publications in the succesful World Wide Art Books. I would recommend anyone participating in these books’. The excellent quality of the publications, and the honesty and responsibility of the WWAB team, captivated me and I am very grateful for having selected and appreciated my work. 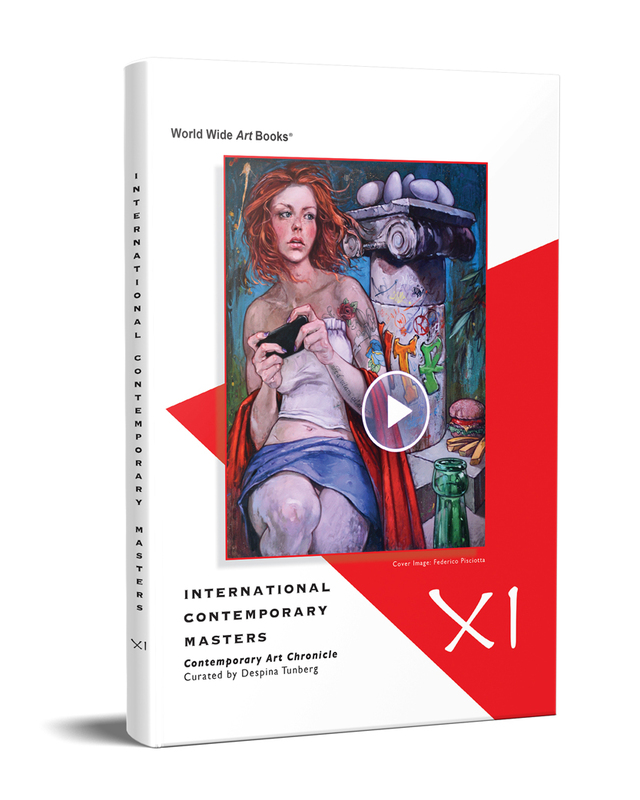 I have represented artists with World Wide Art Books for years and have found their annual book to be a beautiful representation of the talents of international painters, sculptors, photographers and those in the mixed media world. The book itself is beautifully printed and care is taken to represent the artwork accurately. The art exhibits that are associated with each printed volume is a wonderful opportunity to share space with artists of amazing talent and get exposure to a large audience of art lovers. The staff and management have been a dream to work with; processing paperwork, correspondence and images to best represent artwork for print. A wonderful book full of artistic inspirations. Thanks to Despina Tunberg and her team at World Wide Art Books to promote the beautiful paintings of various artist and mine. In particular was very happy to see my paintings has reached vast number of galleries around this globe. This book helped me to take part in shows in Tuscany, Italy, Steiner Gallery in Vienna and Amsterdam Whitney in NY. Also got a recent invitation from gallery in Bologna, Italy and in Rome, Italy. Thanks WWAB for the great work you do! Despina Tunberg and World Wide Art Books, I thank you and your staff for creating a wonderful book that is of the highest quality, beyond my expectations, but is looked at by galleries and buyers around the world. I can honestly say that without your circulation I would not be as known in the US and Europe as I am. The books arrived as you promised and in great condition. The printing is fabulous, and the typography is equally as good. And when I ask you to select the images you felt best represented in the book your response was immediate. What a refreshing treat to have a person, Despina, and a company do what they promise to do. Based on the response I received from the first book I immediately signed up for another. I couldn’t ask for much better anything, responsiveness, printing, typography, shipping or distribution. 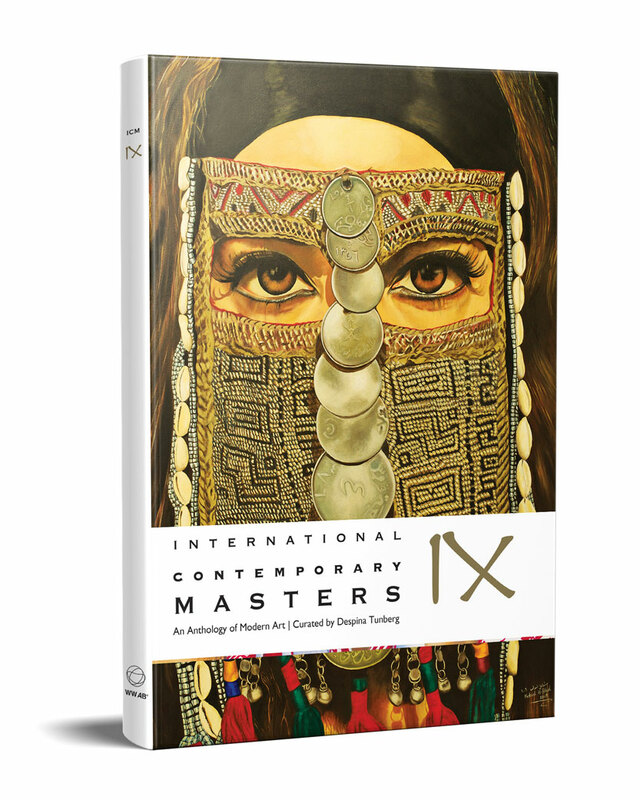 A HUGE THANK YOU TO DESPINA TUNBERG , THOMAS TUNBERG and World Wide Art Books for selecting me to appear in the International Contemporary Masters, Book XII. All your brilliant and very officiant work ( ncluding in that Owen & Design Team ) MADE MY DREAMS COME TRUE. – Also MANY THANKS for all your work on my 2018 CATALOG PUBLICATIONS in New York Art Expo and in upcoming San Diego Contemporary Art Show, the design looks fabulous! I simply cannot wait to see the layout of my artwork for December catalog publication in Spectrum Miami Art Exhibition. – ALL YOUR WORK helped my career immensely. – I have been approached by so many galleries in New York and Miami. – Thank you so much! I have enjoyed immensely working with World Wide Art Books. The quality of the books is always top notch. I have had some galleries approach me and have garnered a few sales directly linked to the art books. I would say that being a part of WWAB has been a very positive and worthwhile experience for me. I shall continue to use these books as a selling tool in the future. Congratulations on a successful series of books. I am an artist who works as a journalist and had the pleasure of interviewing Thomas and Despina Tunberg about their wonderful company World Wide Art Books and Artavita after seeing their impressive booth at New York’s ArtExpo in April of 2016. Despina and Thomas were so grateful that they graciously offered to place images of my own artwork into one of their gorgeous books. The results were stunning! I received many compliments about the book and have since shown in several new galleries—even securing my first solo show! I would recommend this company to anyone. Despina Tunberg, I will never stop to say thank you, thank you to be featured in the IMPORTANT WORLD ARTIST. I have received so many invitations from galleries and one of them for a Solo show from the gallery Steiner in Vienna Austria one of the oldest galleries. Dear Despina, Congratulations. 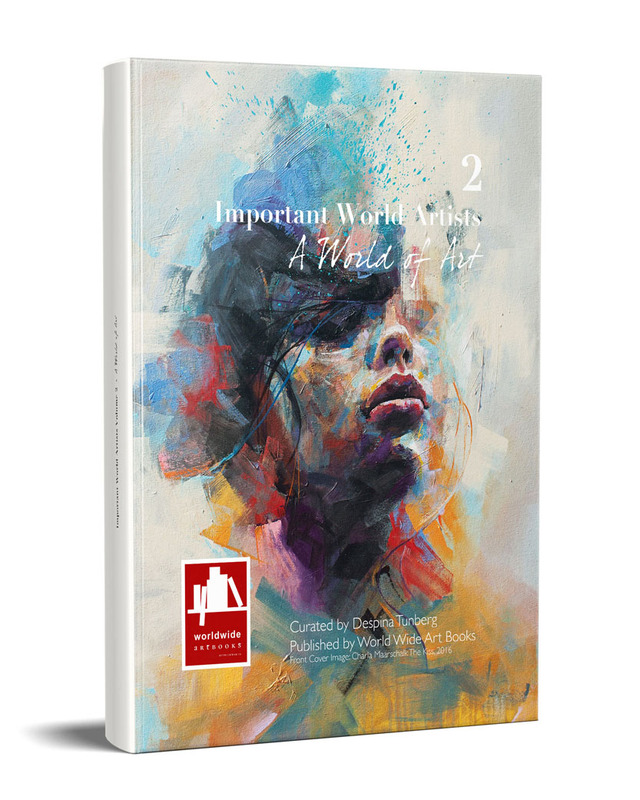 This sublime collection of World Art Book is an immense expression of contemporary art, it is the hidden witness of the virtuosity of the Artist. It’s such an honor to share my own artistic experience with masterpieces that want to be polygonal facets, multiple and diverse, which unite by adjusting in this very beautiful art book designed by a team of professionals, to create a plural harmony where faith is made of impression and doubt, of realism and certainty, of abstraction and anxiety without being able to put an end to the interrogations of Expressionists and others ” Sure-realist”.. Dear Despina, I borrow the expression “with pride and without disproportion” to describe the feeling of the Sure-Realist who gives himself a syllabary where the panoply of happiness is combined with the humility of the spirit. Thank you. 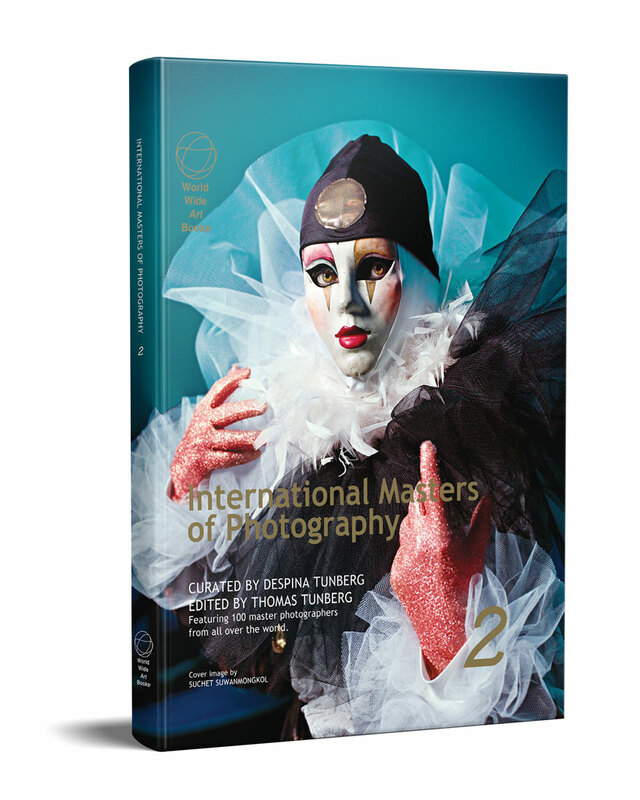 Thank you so much for accepting me in the book International Contemporary Masters. You changed my life and my career! Thank you for all these beautiful photos. Your exhibition was fabulous and of quality. I am very happy about my paintings and they really look well. Thank you! I will go through all of the pictures again and choose some to share. Thank you very much as well as all your team for the splendid work!! I really compliment you on your wonderful art books; they really have brought good luck to me as they are a reference for galleries exhibiting international artists, and, in general open-minded ones. The only country that has shown no interest at all is France, very closed up these days but I have been receiving invitations from many world exhibitions for some months now. I guess I’m in the circuit now thank to you and maybe Saatchi, at the beginning anyway. Good morning Despina, first of all, I would like to inform you that I am very delighted by the positive feedback of Rudolf’ Renfer’s appearance in ICM 11. I have had contact and inquiries from some serious European Galleries referring to the book. I received the books. They arrived in perfect condition and the book is beautiful. Your quote in the beginning of the book is really great ! Cholla’s pages are wonderful. I am very excited ! do like it very much. I´m sure the next one will be even better. Yesterday I received the books by mail, they look very beautiful. I hope that something will come out of this promotion, would be nice to receive an invitation from A gallery in the U.S.A. to exhibit without any costs, because they appreciate the quality of my work..
Hello despina. I received the books. They look great! Thank you for sending me the books. They arrived yesterday. I liked them – interesting artists and great presentation. Hi Despina, The book looks great!! Thanks. today the book has been received to me. It is really wonderful and I have really enjoyed this high quality images. Thank you for your great work and reliability. It’s been a real pleasure working with you. They book looks great. A very good cross section and great diversity. I may need to order some more for my various galleries. It turned out very well. You have some nice work represented in the book. The color reproduction especially for Rainforest however was disappointing but that is not your fault. I just need to be more careful in proofing. I received the book and thank you for it and congratulations. It very is successful and the colors are splendid! 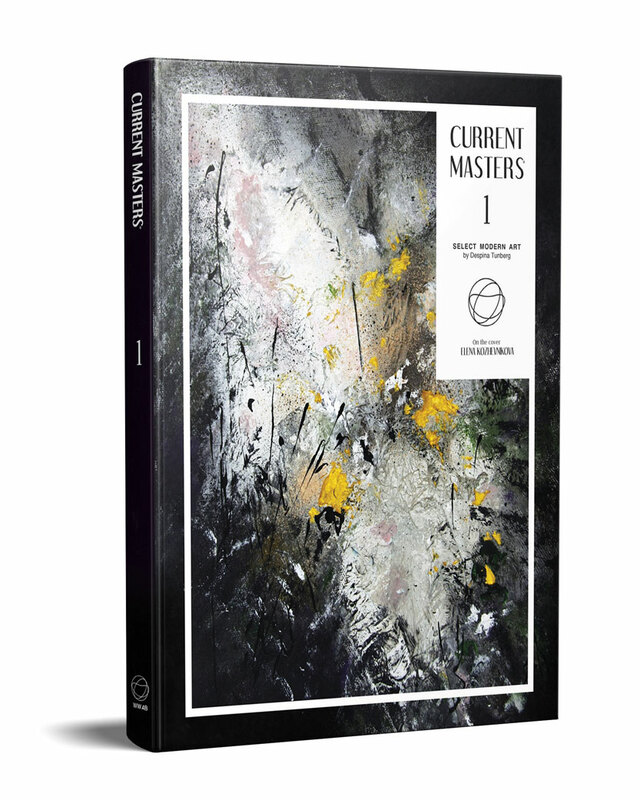 I have this morning received my copy of Masters. Very nice presentation I am very happy. I received my two books today and as you said: they are great! Thank you for the book, which arrived today. It is great and I love it. I have already shoved it to some of my friends, who love it too! I have received one book, is that alright? It looks far better then last year!! The book arrived just great. Bravo for your work. qui ne fait pas apparaître suffisamment la partie jaune -(à droite). C’est ma faute,mais c’est un point secondaire. Je suis très satisfait. Je vous adresse mes sincères salutations. (Translated through Babel Fish:) I received the package, Monday 02/03/2009 at Midi, in good state. J’ found l’ luxurious album and of beautiful presentation .The page that you m’ reserved is appropriate to me. It’s a pity that I addressed an image to you who does not reveal sufficiently the yellow part – (on the right). C’ is my fault, but c’ is a secondary point. I am very satisfied. I address my sincere greetings to you. The Artbook was magnificent – fantastic in shape, colours etc…And the hard cover – very good. I´m so happy about it all. Thanks for the invoice. You are doing a good job supporting not only those artists, who belong to the central marketplace in Manhattan. Σήμερα έλαβα το λεύκωμα. Είμαι πολύ ικανοποιημένος από την συνολική εικόνα του βιβλίου. Δυστυχώς, δεν διάβασα ακόμα τον πρόλογο για να κάνω κάποιο σχόλιο. Εύχομαι να συνεργαστούμε ξανά στο μέλλον. (Translated from Greek: I received the book today. I am very content with the general appearance of it. Unfortunately I had not read your article yet so as to make a comment! I wish to collaborate again with you! I wish you well. I received the books and really love your choices. the art, the paper you used, the letters, everything is professional and looks very good. congratulation on your hard work, the result is great. The book is great, congratulations! My books have arrived! They look beautiful! THANK YOU SO MUCH!!! I just received the book this morning and trust me its made my day!!! 🙂 The book is fab and so are the artists within it!!! my students love the book too! Thank u for the great opportunity hope I can be part of it next year too. Thank you once again. Yes I get. Thank you. I crossed its contents with a lot of interest and overdrafts of very interesting things. I find your selection very relevant because very representative of the tendencies.. Let us wish now that there is numerous for your work. Like your up-to-the-moment cross-section of new creation, my painting is the cross section of human..
yes I have received one copy of my book and it looks great! thank you! I received the books, and they AWESOME!!!! Good job! Very good looking!! Thanks so much! the book is amazing. Thank you for cooperation. It will be my pleasure a new cooperation. Hi there, yes thanks l got them on Monday, the book is great! The printing quality is much better, the images much more vibrant, and it’s great being in hardback. Hello Despina , I just received the book and its very nice! for your next art books attempts. Thank you for your proffesionalism! Dear Despina, Oh Yes, I received them. Thank you!!!! they turned out great!!! Thank you so much! Thank you, Despina I reeceived my copies of the book. The book looks great…good job. I received the books and they look wonderful! I think the prints of the paintings are very good. Also, I think there is some nice work in the collection. I will be in touch about more copies once I get organized. I have received my books. They look great! The book looks very nice thank you so much for your hard work and wonderful result. OUI super bravo à vous. Hi Despina….The books arrived safely in Austria. I have to say this. I am really impressed with the professionalism, the variety of incredibly talented artists, the layout is fantastic and the hard cover was an excellent idea this time. Muche better presentation and quality. Are you working on 2010 now….. I really hesitated when I was approached by Matt Benson asking me to submit art for appearing in an art book. I made an online research and I found out some people – anonymous – said it was a scam. Finally I decided to do it andI am so glad I didn’t believe the negative comments! It boosted my career. I would never dream of such a success. It has been 5 years and I am still contacted by art galleries and people who saw my work in the books. Now I am signing up for every new book WWAB.US organize. Since the book was released I have been approached by so many art galleries and organizations that I would never believe. Thanks WWAB.US You really spread the word!